I'll be going on holiday next week so it may be a couple of weeks before my next pages appear. I shall put another 'Seychelles' page up in the Saltwater section before I leave. Hasn't the weather been awful? The rivers in this part of the country seem to have been up and dirty for weeks. My last pike trip with Nigel and Ben went ahead despite the fact that our chosen venue was a bit on the coloured side. However, it is rarely completely hopeless and we were in good spirits as we started off. 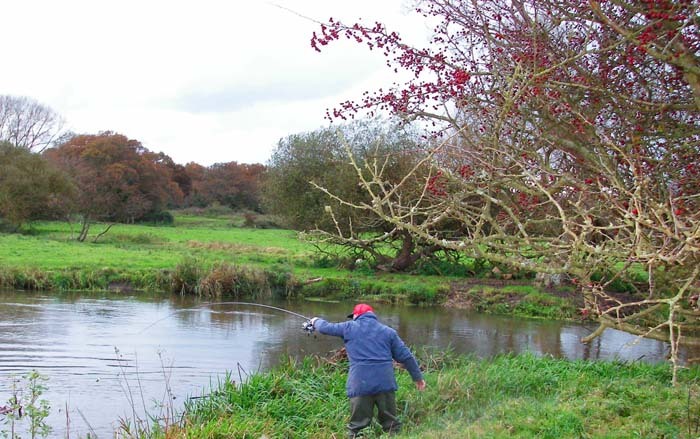 I carried the gear and had a few casts with my spoon while the others float fished witrh fish baits of various kinds. After the first biteless hour or so the writing was on the wall. We had all resigned ourselves to a quiet afternoon stroll along the river banks. We tried likely spots, we tried 'certain' spots and we tried the most unlikely spots, we fished some places for a minute or two and others for what seemed like ages - all to no avail. We could not buy a bite. We walked down one bank and we walked back up the opposite bank - nothing. We were just about to 'give them best' when Nigel, always keen, decided to try one last place. 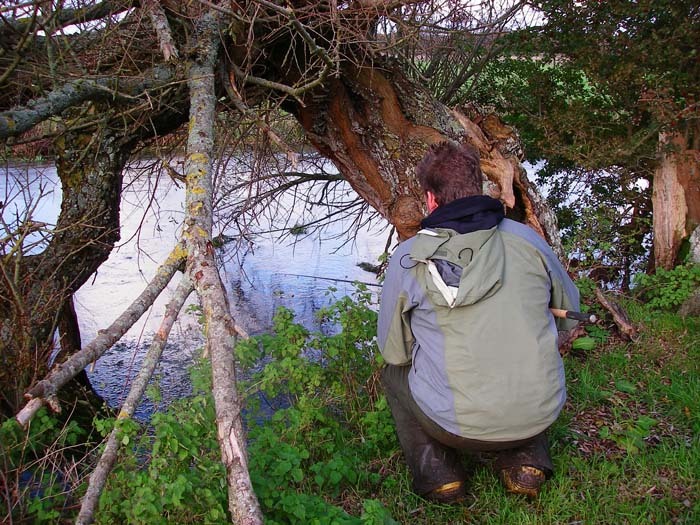 It was the inside of a large bend with very shallow water and a big bush in the water at the upstream end. 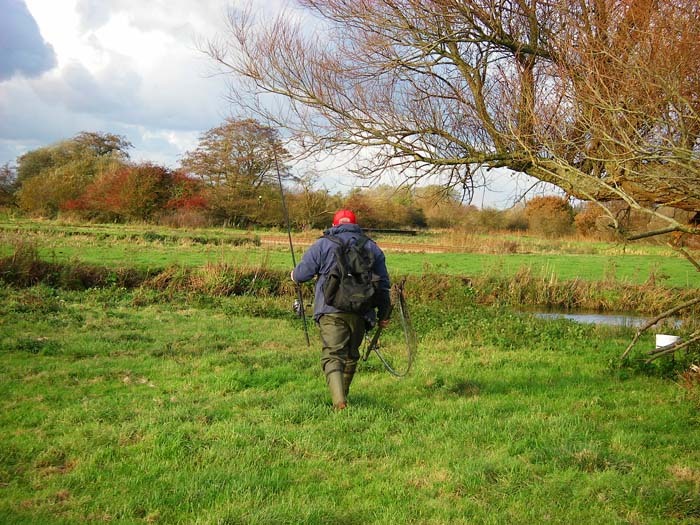 He cast his float into the slack and let it wander round for five or ten minutes. At this point we all decided to pack in and Ben and I started to walk back up to where we had left the rest of the gear as Nigel wound in. We had not gone ten metres when there was a cry of 'fish!' and we turned to see our pal, rod well bent, playing the first fish of the session. The pike was no monster but it put up a good show and Nigel was still playing it as Ben joined him with the big net ready to land it. 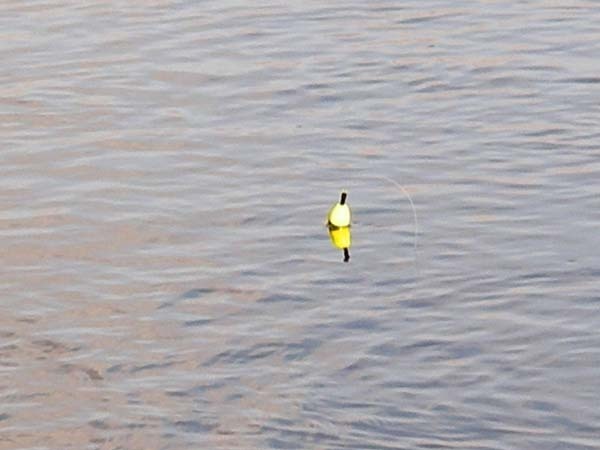 At that point the rod straightened as the hook came out and the pike swam off. Never mind eh! --- but how are we going to land it?.